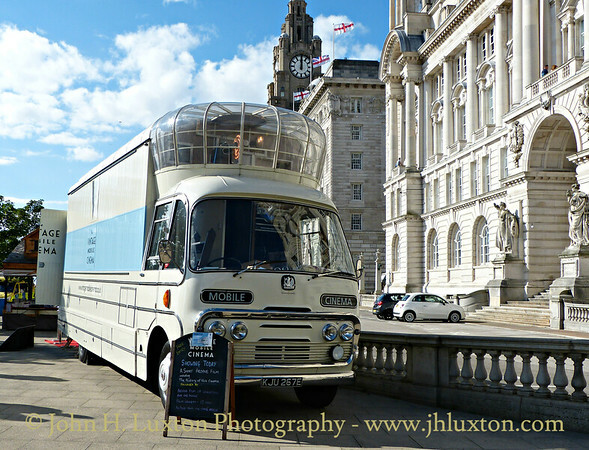 The Vintage mobile cinema is the last remaining vehicle of a fleet of BEDFORD SB derived mobile cinemas built in the 1960s for the Ministry of Technology to show training films. 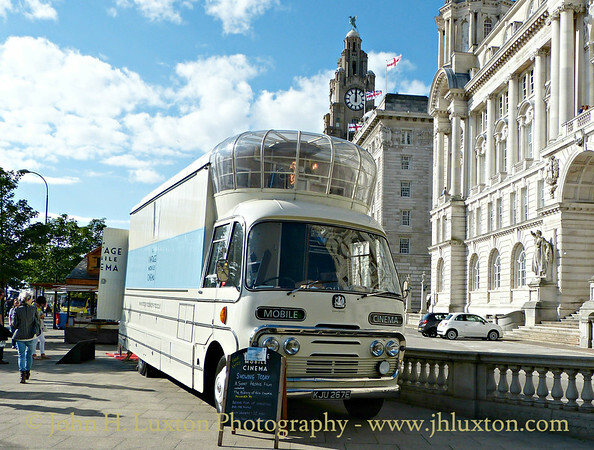 This vehicle is well know from appearing in the BBC TV series "A Reel History of Britain" presented by Melvyn Bragg. 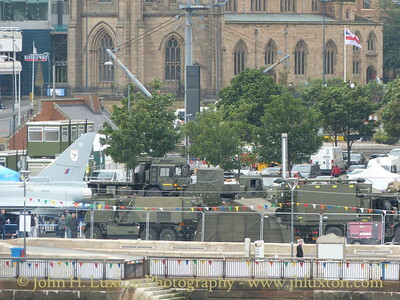 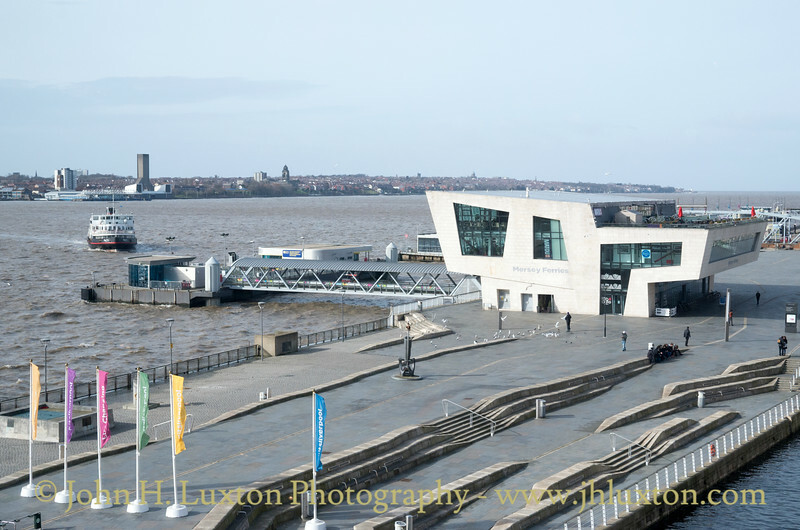 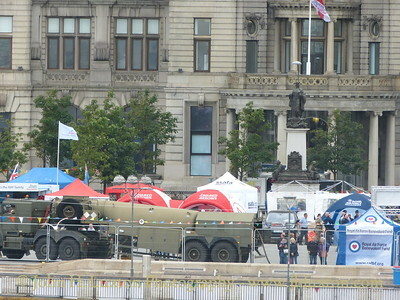 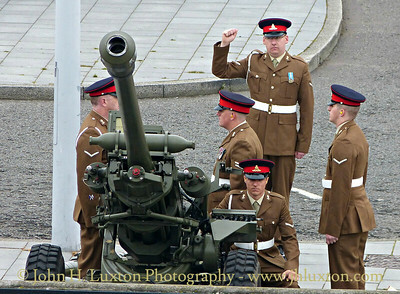 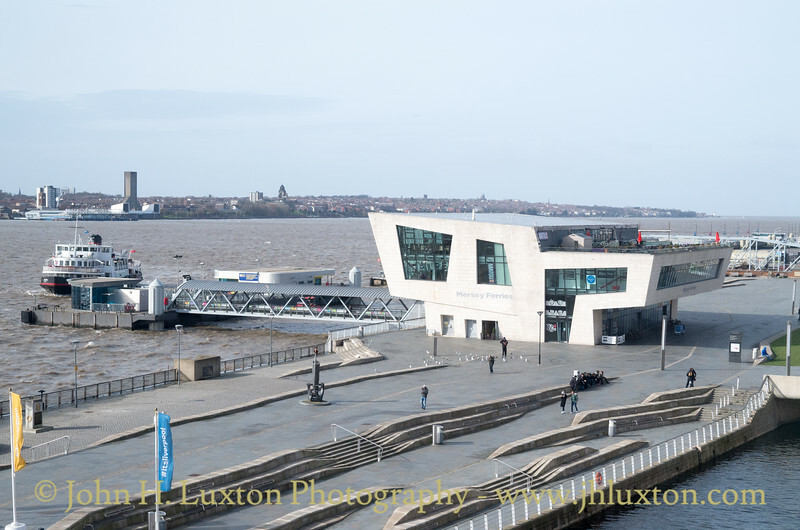 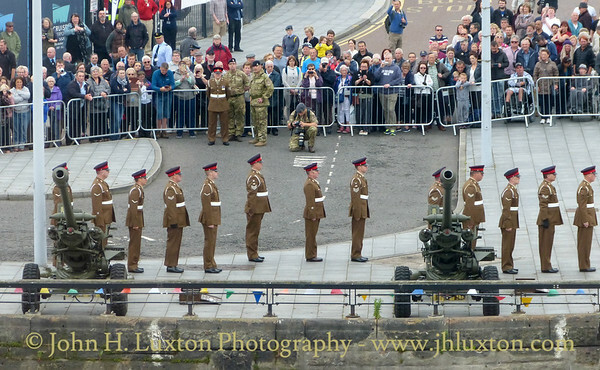 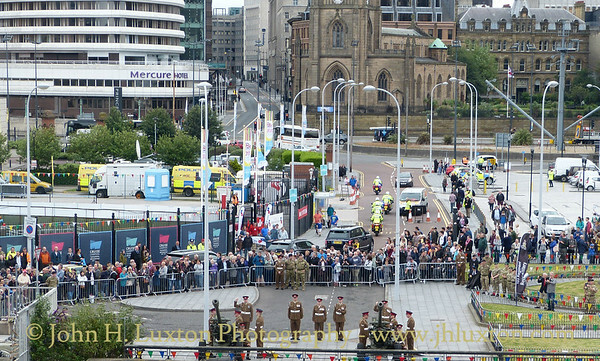 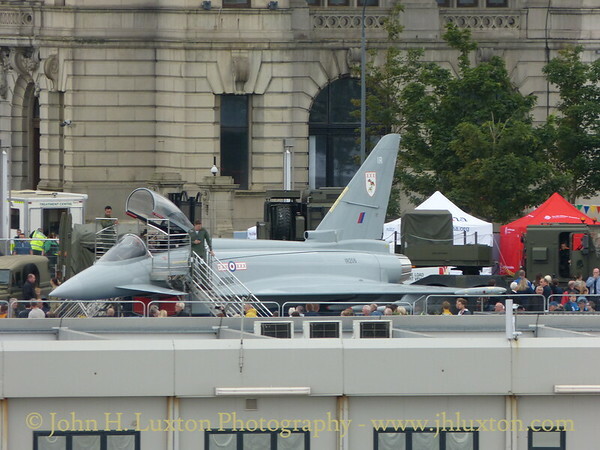 It is seen here at Liverpool Pier Head during Armed Forces' Day 2017. 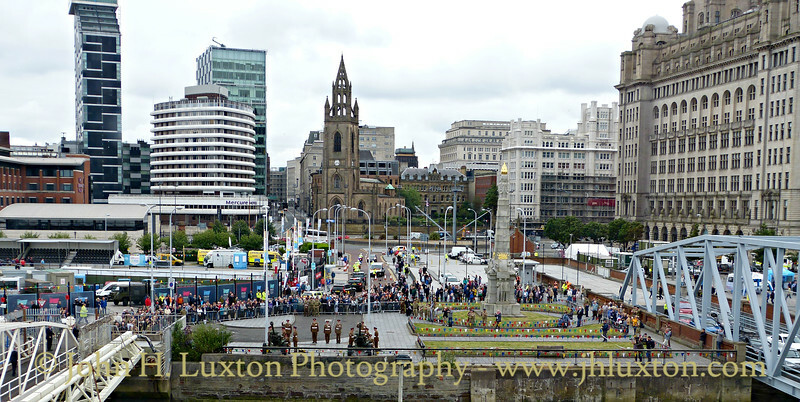 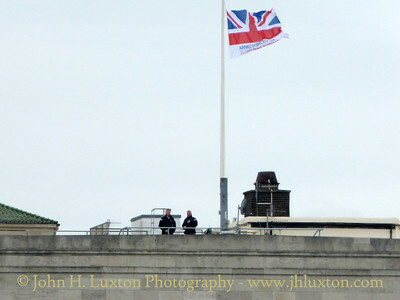 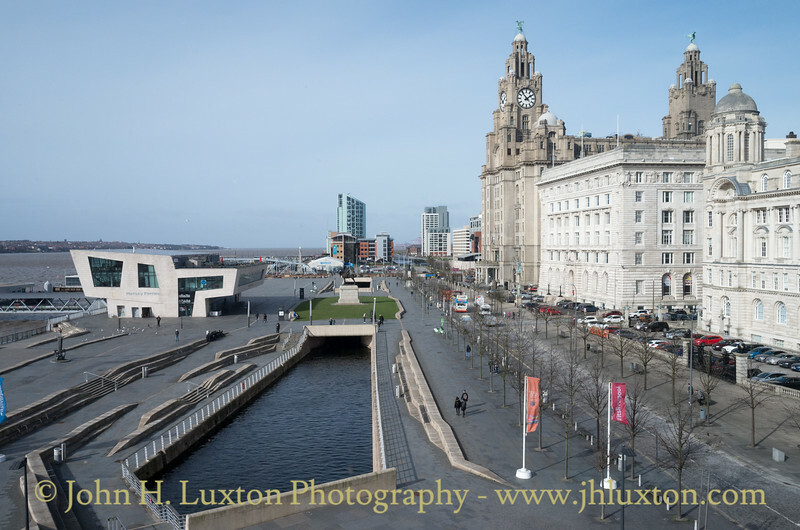 Police Officers keeping an eye on proceedings from the top of the Cunard Building. 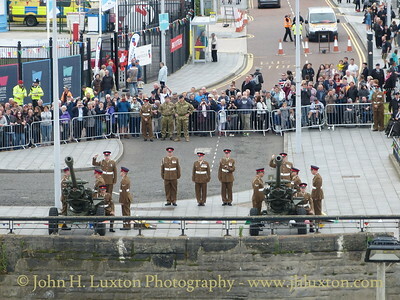 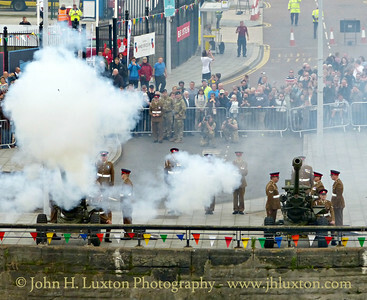 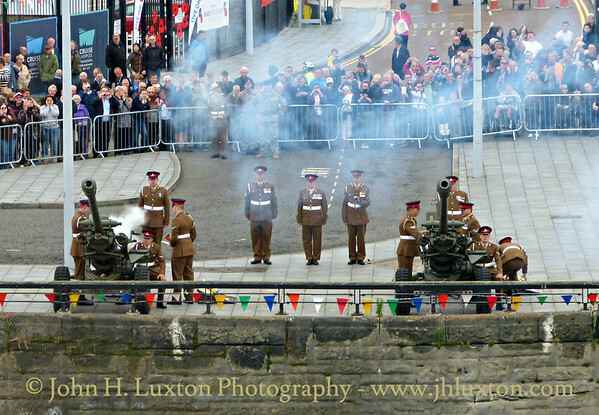 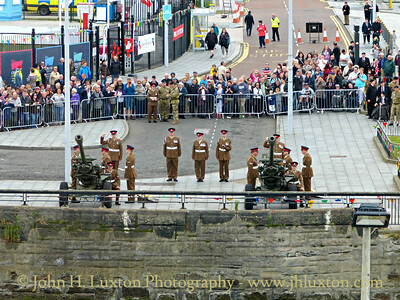 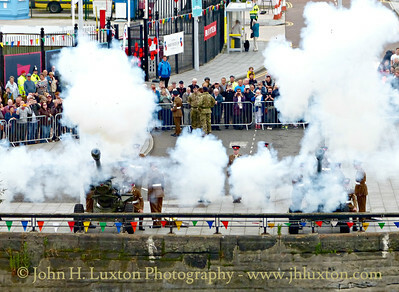 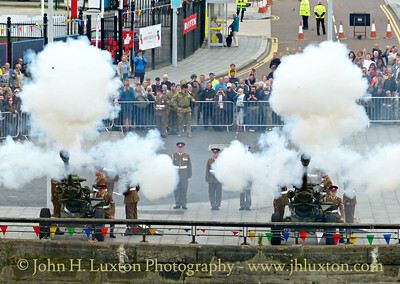 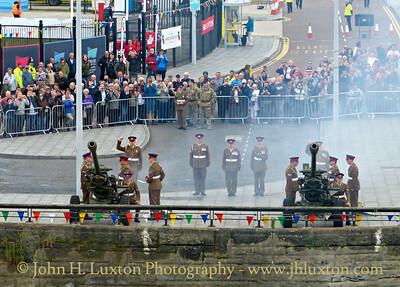 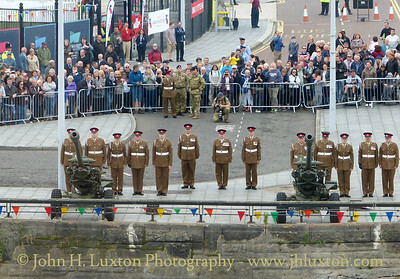 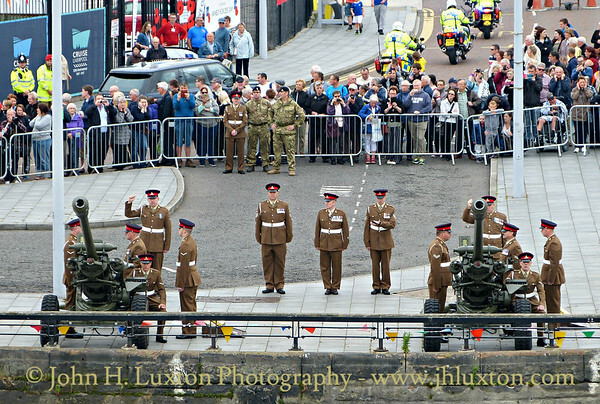 Military displays on the waterfront viewed from MANANNAN. 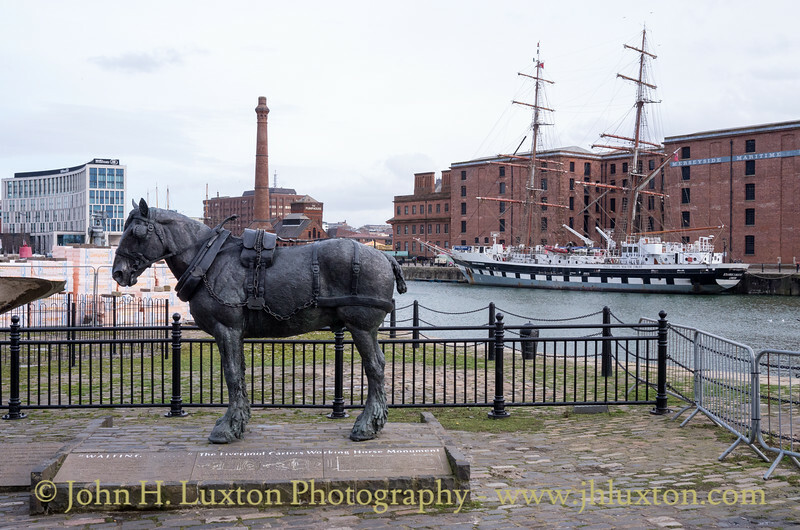 Waiting: The Monument to the Liverpool Working Horse and STAVROS S NIARCHOS at Canning Dock, Liverpool.